Bill Albright was a 20th round draft pick of the New York Gianss in the 1951 NFL draft out of Wisconsin. Albright went on to play four years and 47 games with the Giants from 1951 to 1954. Albright came to the CFL and the Toronto Argos in 1955, and was an All-Star on both sides of the line. 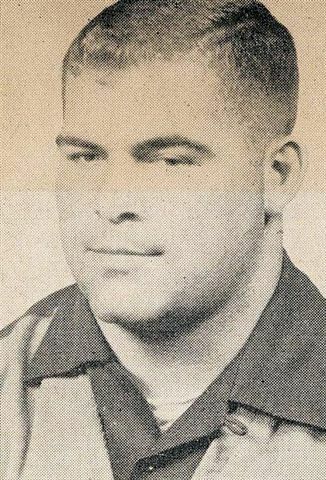 Albright was an East All-Star at guard in 1955 and in 1956 was an East All-Star at both offensive and defensive tackle (there were no CFL All-Stars until 1962). Albright played one more season with the Argonauts in 1957, and finished his CFL career with one game in Montreal in 1958. Bill Albright passed away on January 17, 2013.